2. We produce “white” and “blue” colors for choose and can produce customer demand color with large order. 3. It has cone shape bottom with water exit in the center, which can exhaust water completely. 4. The bottom water exit can equipped with overflow pipe (optional, please specify when ordering). 5. 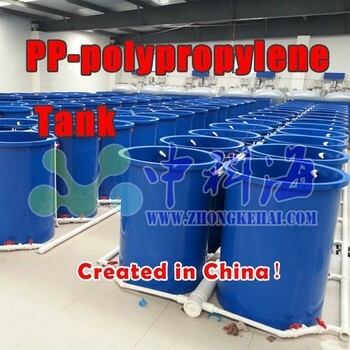 It is light and durable with one ton capacity pp tank so that one person can easily carry it. 6. It can be used right after produced because it is non-toxic and odorless. 7. No need maintained regularly and paint gel coat for protecting like traditional fiberglass sink. 8. All the material can be recycled and no harm to the environment. 10. Aging resistance, impact resistance, high intensity, stabled chemical properties. It is not only an ideal sink use for aquaculture and aquatic experiments, buy also safety storage for chemical liquid container. It can be made into different sizes and shapes according to customer requirement.